. . : : WMESS - World of Earth Sciences: : . .
Prague International Airport handles flights of most European carriers and as well as flights overseas. 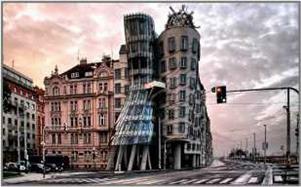 It is located 30-45 minutes by car from the center of Prague. There is a good connection between the airport and city center by public transport and taxis. You can easily get to the city centre using one of the public buses. For the quickest transport to the city centre or the nearest metro station, we advise using routes 119 and 100. Unfortunately, there is no subway or train connection to the city. Czech crown (CZK, Kc) is the official currency of the Czech Republic. Exchange of foreign currency is available at Prague international Airport and at most hotels, banks and exchange offices. International credit cards are accepted for payments in hotels, restaurants and shops. Payment in cash in EUR is also available in some restaurants and shops, please ask for details on-site. The Czech Republic uses a 220 volt, 50 Hz system, sockets have the European standard and plugs are three-prong grounded. All foreign visitors to the Czech Republic must possess a passport valid for at least the next three months. Participants requiring a visa should apply in advance to consular offices of the Czech Republic in their countries in order to avoid delay when travelling to the conference. 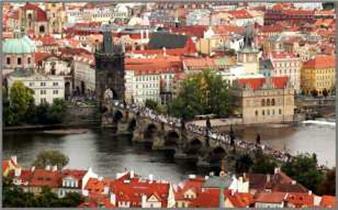 Prague has a good public transport system, which includes 3 metro lines, trams and buses. Prague's Metro system is quite new and efficient. During peak hours trains run every 1 or 2 minutes and off peak at least every 10 minutes. Passengers need a valid ticket to travel by the city public transport system. The ticket must be stamped as soon as you get on a bus or tram, or enter the transport area (in the case of a metro station). Tickets can be purchased in automatic machines at each metro station, at surface transport stops or at news stands. Please note that you need to mark the ticket when you enter the metro / tram / bus for the first time.